Prive Inc has access to about 5,000 private jets. Prive Inc is the one among the world largest provider of private jets. 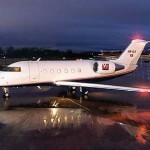 The jets have all the enhanced aspects such as luxury, and corporate travel. The needs of the customers are fulfilled by about 140 professionally trained travel customers around the world. The company aims at providing a personalized service, a meaningful saving, travel unparallel to any other. The airlines' service industry provides flexible delivery, suitable for all types of fliers, thereby providing the best customer service, safety, and price. The company with its risk-free card options provides trustworthy options. There are currently 0 consumer reviews about Prive Inc available. Share your review. Please take a note that you are about to post a public review about Prive Inc corporate office on CorporateOffice.com. This review will be public, so please do not post any of your personal information on this website. If you would like to contact the corporate offices of Prive Inc, please use their contact information such as their phone number, website, and address listed above to contact them. However, sometimes staff from Prive Inc headquarters do read the reviews on this website.